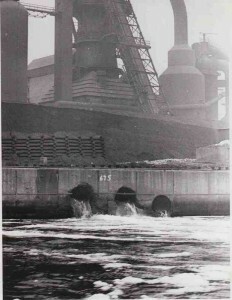 Cleveland’s Cuyahoga River before the Clean Water Act. 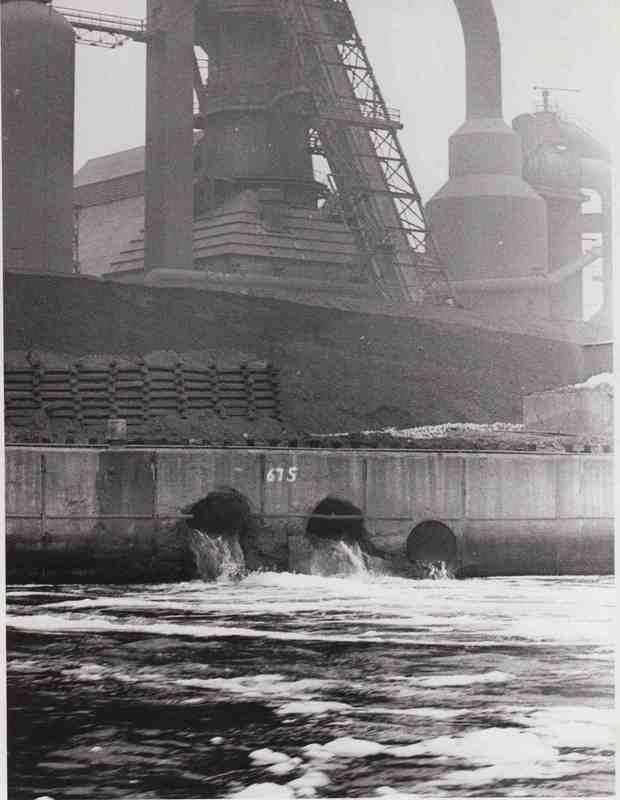 The Cuyahoga was so chemical-laden that it caught on fire several times. The Trump administration will formally start the process of lifting federal Clean Water Act protections for millions of acres of wetlands and thousands of miles of streams across the U.S., undoing decades of protections against pesticide runoff, industrial waste, and other pollutants. The proposed rules, to be unveiled by the Environmental Protection Agency in December, 2018, are a victory for agricultural and real estate interests but are likely to degrade the drinking water used by tens of millions of Americans and endanger fisheries and the habitats of migratory birds and other species. President Trump promised during his campaign to roll back the Obama-era Waters of the United States rules, an expansion of federal protections under the the Clean Water Act of 1972, but the new Trump proposals target protections dating back to the George H.W. Bush administration or earlier. The Trump rules, which will be subject to 60 days of public comment, will keep protections for larger bodies of water but remove federal safeguards for wetlands not adjacent to navigable waterways plus most seasonal streams and ponds. The newly vulnerable streams provided drinking water for as many as 1 in 3 Americans, especially in the arid West, according to scientific studies used by the Obama-era EPA. And when small streams are polluted, they feed into larger streams and lakes, affecting the quality of drinking water for the entire nation. Reference: Trump proposes to roll back decades of water protections” from Politico. We call this picture “Cement River in Winter Viewed from the Bolivar Street Bridge”. It features one of the “season streams” that are no longer protected by the Waters of the United States rules. All water is connected. When you pour motor oil into the Cement River, it eventually makes its way into somone’s drinking water reservoir. The US Government’s Fourth National Climate Assessment, issued in the fall of 2018, devotes a long chapter to the effects of climate change on the nation’s water. Below are excerpts from the chapter which highlight its important features. Rising air and water temperatures and changes in precipitation are intensifying droughts, increasing heavy downpours, reducing snowpack, and causing declines in surface water quality, with varying impacts across regions. Future warming will add to the stress on water supplies and adversely impact the availability of water in parts of the United States. Changes in the relative amounts and timing of snow and rainfall are leading to mismatches between water availability and needs in some regions, posing threats to, for example, the future reliability of hydropower production in the Southwest and the Northwest. Most U.S. power plants rely on a steady supply of water for cooling, and operations are expected to be affected by changes in water availability and temperature increases. Groundwater depletion is exacerbating drought risk in many parts of the United States, particularly in the Southwest and Southern Great Plains. Dependable and safe water supplies for U.S. Caribbean, Hawaii, and U.S.-Affiliated Pacific Island communities are threatened by drought, flooding, and saltwater contamination due to sea level rise. 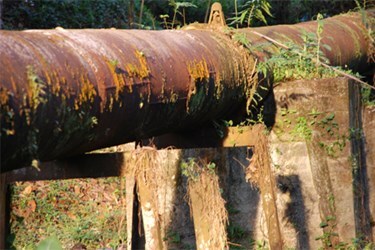 Aging and deteriorating water infrastructure, typically designed for past environmental conditions, compounds the climate risk faced by society. Water management strategies that account for changing climate conditions can help reduce present and future risks to water security, but implementation of such practices remains limited. Changes in climate and hydrology have direct and cascading effects on water quality. Anticipated effects include warming water temperatures in all U.S. regions, which affect ecosystem health, and locally variable changes in precipitation and runoff, which affect pollutant transport into and within water bodies. These changes pose challenges related to the cost and implications of water treatment, and they present a risk to water supplies, public health, and aquatic ecosystems. Increases in high flow events can increase the delivery of sediment, nutrients, and microbial pathogens to streams, lakes, and estuaries; decreases in low flow volume (such as in the summer) and during periods of drought can impact aquatic life through exposure to high water temperatures and reduced dissolved oxygen. The risk of harmful algal blooms could increase due to an expanded seasonal window of warm water temperatures and the potential for episodic increases in nutrient loading. In coastal areas, saltwater intrusion into coastal rivers and aquifers can be exacerbated by sea level rise (or relative sea level rise related to vertical land movement), storm surges, and altered freshwater runoff. Saltwater intrusion could threaten drinking water supplies, infrastructure, and coastal and estuarine ecosystems). Indirect impacts on water quality are also possible in response to an increased frequency of forest pest/disease outbreaks, wildfire, and other terrestrial ecosystem changes; land-use changes (for example, agricultural and urban) and water management infrastructure also interact with climate change to impact water quality. Capital improvement needs for public water systems (which provide safe drinking water) have been estimated at $384 billion for projects necessary from 2011 through 2030. Similarly, capital investment needs for publicly owned wastewater conveyance and treatment facilities, combined sewer overflow correction, and storm water management to address water quality or water quality-related public health problems have been estimated at $271 billion over a 20-year period. To date, however, there is no comprehensive assessment of the climate-related vulnerability of U.S. water infrastructure, and climate risks to existing infrastructure systems remain unquantified. 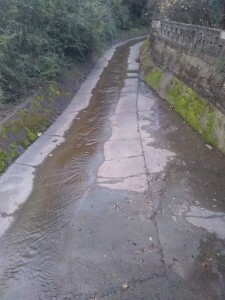 Compound extremes, such as terrestrial flooding and ocean flooding occuring at the same time, can also increase the risk of cascading infrastructure failure since some infrastructure systems rely on others, and the failure of one system can lead to the failure of interconnected systems, such as water–energy infrastructure. Paleoclimate analyses and climate projections suggest persistent droughts and wet periods over the continental United States that are longer, cover more area, and are more intense than what was experienced in the 20th century. The challenge is both scientific, in terms of developing and evaluating these approaches, and institutional–political, in terms of updating the regulatory, legal and institutional structures that constrain innovation in water management, planning, and infrastructure design. Source: The Fourth National Climate Assessment: Chapter Three. Water Online writer Sara Jerome, in her article “Small Town, Big Water Problems,” says that in the small Louisiana community of Enterprise, the tap water is so bad that “one woman drives 20 miles each way to do her laundry in another town.” The water situation in Enterprise illustrates a festering problem in the United States: Funding for infrastructure repairs and upgrades in small communities is hard to come by. “Years of water system neglect means that the 250-or-so residents there are left with pipes that leak more than 70 percent of their water into the ground — all because they can’t afford to fix them,” CNN reported, citing John Tiser, resident and water board president. Virginia Tech Engineering Professor and water expert Marc Edwards refers to it as America’s “dirty little secret.” He explains that oftentimes towns like Enterprise are stuck with aging infrastructure that they can’t fix, leaving few options for them to deal with complaints about dirty or contaminated water. Edwards received a nearly $2M grant to uncover water issues in towns like this. When Edwards and a scientific team tested Enterprise’s water in 2017, they found bacteria, lead and other contaminants that exceeded EPA limits. It is important to point out that while “over 92 percent of U.S. residents who receive water from community water systems are supplied by water that meets health-based standards at all times,” the U.S. EPA estimates that over $743B is needed for water infrastructure improvements. Texas Town Confronts Brown Water Coming From Taps. Residents of River Oaks, TX, are tired of drinking brown tap water. Study Finds That Millions Of Americans Get Water From PFAS-Laced Sources. The level of perfluoroalkyl substances (PFASs) in drinking water sources exceeds federal safety limits in supplies serving millions of U.S. residents. Authorities Target Water Operator Over Lead Crisis In Ohio. Ohio authorities filed charges against a water operator last week, alleging that he failed to alert residents about lead levels in the village of Sebring, where tainted tap water has triggered elevated lead levels in children. 18 Million People Served By Systems With Lead Violations. Public officials have often failed to step in when water systems violate the federal Lead and Copper Rule, according to a report released this week by the advocacy group Natural Resources Defense Council (NRDC) on the “extraordinary geographic scope” of lead contamination. Are The Dangers Of Iron In Water Being Ignored? Iron in drinking water may pose more health risks than federal water regulators currently acknowledge. The list of possible new water contaminants is endless, since new chemicals are issued much faster than regulators can test them. 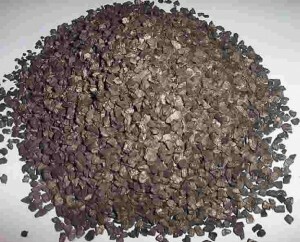 Traditionally, ANSI/NSF certification has been divided into two categories: the contaminants with known adverse health effects, like arsenic, and items like the taste and color of water, which are aesthetic issues not known to affect health. Emerging contaminants are a new category of water quality concerns for which evidence of health effects has not yet been established due in part to the trace levels at which these compounds are currently being detected. The newer chemicals that are being listed by regulatory agencies are seen below in the Emerging Contaminants list being tested to a new NSF standard called American National Standard NSF/ANSI 401. You’ll see some familiar names in the list. Yes, DEET is the stuff you spray on your body to discourage mosquitos, Ibuprofen is what you take for a headache, and Bisphenol A (aka BPA) is the ingredient in plastic bottles you’ve been trying to avoid. Note that the allowable amount for all of these is expressed not in parts per million, or parts per billion, but in ng/L, nanograms per liter. One nanogram per liter is one one-millionth of one milligram per liter. Expressed differently, one nanogram per liter is the equivalent of one part per million of one part per million of the whole. When you think of it as slicing a pie into a million pieces then one of the pieces into a million pieces, that isn’t much. To understand how NSF testing is done, what the chart tells you is that if they take a solution containing more or less 200 ng/L of the angina and blood pressure medicine Atenolol and put it through a filtration device, the device must reduce the Atenolol content to 30 ng/L or less to receive NSF certification. It is noteworthy that the fairly short list of devices that have attained NSF certification for removal of Emerging Contaminants includes only carbon filtration devices, and some of these are small devices like refrigerator filters or pitcher filters. The moral is that if you drink water from a good carbon-based drinking water filter, or a reverse osmosis unit, you can safely stop worrying about being overcome by the page-long list of health problems associated with the anti-seizure drug Carbamazepine. GenX, introduced a decade ago as a “safer” alternative for the notorious non-stick chemicals PFOA and PFOS, is nearly as toxic to people as what it replaced, says an Environmental Protection Agency study released recently. Gazette Introductory Note: We’re reprinting this piece to illustrate the widespread problem with PFAS and to show how one water supplier has chosen to deal with it. Municipal treatment of this growing chemical threat to drinking water is difficult and expensive to say the least. Sioux Falls SD officials are grappling with well shutdowns as the extent of the city’s water contamination from decades of firefighting foam use remains unclear. Sioux Falls currently has 19 municipal wells sitting dormant in the aftermath of innumerable gallons of toxic firefighting foam that contaminated the grounds of the city airport nearly 50 years ago, the Rapid City Journal reported. Chemicals linked to cancer and other health issues were found to have contaminated 15 municipal wells, including 10 that have concentrations above what the Environmental Protection Agency deems safe. About 28 percent of the city’s water production from the Big Sioux aquifer is shut down. The South Dakota Air National Guard and the Sioux Falls Fire Department both used the toxic firefighting foam for many years near the airport, which led to the contamination of the city’s drinking water. But the scope of the issue is still unknown. “We really haven’t determined the extent of release yet,” said Capt. Jessica Bak, a public affairs officer with the Air Guard at the Sioux Falls Regional Airport. In 2013, the city’s water purification plant found chemicals from firefighting foam, known as per and polyfluoroalkyl substances (PFAS), at levels below the EPA’s health advisory level. The level of exposure beneath the EPA’s threshold means there aren’t expected adverse health risks. The city responded to the findings by testing all municipal wells to identify the source and shutting down every well where the chemicals were found. City engineer Tim Stefanich, who oversees the water system, acknowledged that “there was a little bit of time between” finding the contamination, determining its source and deciding to shut off wells. But he said that there was minimal fear of an immediate health risk with the low levels of exposure. The city tested for PFAS again in 2014 as part of an EPA-mandated water sampling program, but didn’t detect any of the chemicals. The city tested again in 2016, when some low levels were found. The city shut off more wells, leading to the 19 wells offline today. Water leaving the city’s purification plant is now sampled monthly, and no water samples have contained the chemicals since 2016. Stefanich and Trent Lubbers, the city’s utilities operation administrator, believe the contaminated water situation is under control. The city has been purchasing water from the Lewis and Clark Regional Water system, a nonprofit, wholesale provider of treated water. But Sioux Falls will likely need a more sustainable option. When I saw the headline above I knew I was going to have to learn some new acronyms. Just last week we put up an article about the difficulty writers and readers and researchers are having with the many new abbreviated forms used for “emerging contaminants” that start with “P.” The world is being overrun by acronyms, and the water treatment industry creates way more than its share. WQRF, I learned, stands for the Water Quality Research Foundation, which was formerly called the Water Quality Research Council (WQRC), which was formed in 1949 to serve on behalf of the Water Quality Association (WQA) as a universally recognized, independent research organization. MCL stands for Maximum Contaminant Level: the highest level of a contaminant that is allowed in drinking water. MCLs are set as close to the maximum contaminant level goals (MCLG) as feasible using the best available TT (Treatment Technology). MCLG stands for Maximum Contaminant Level Goal: the level of a contaminant in drinking water below which there is no known or expected risk to health. MCLGs allow for a margin of safety. This study is the first attempt at collecting and analyzing national occurrence data between the MCL and MCLG, utilizing data that is available from state and federal databases including, but not limited to: EPA, CDC, USGS, FRDS, NCOD, and SDWIS. Of the contaminants governed by the National Primary Drinking Water Regulations, only those that have a MCLG value lower than its MCL value (including MCLG values of “zero”) will be included in this research. FRDS, NCOD, and SDWIS, which I didn’t understand, I decided to leave it alone. You don’t have to know everything. In regard to the “P” word contaminants that we went to so much trouble trying to classify, this very week, the Agency for Toxic Substances and Disease Registry (ATSDR), apparently a division of the CDC (Centers for Disease Control), seeing the urgent need to get everyone on the same page so these chemicals can be talked about, issued a very helpful document called The Family Tree of Perfluoroalkyl and Polyfluoroalkyl Substances (PFAS) for Environmental Health Professionals. I hope you’ll read it. It keeps things simple by showing only the main PFAS family and leaving off the subfamilies. 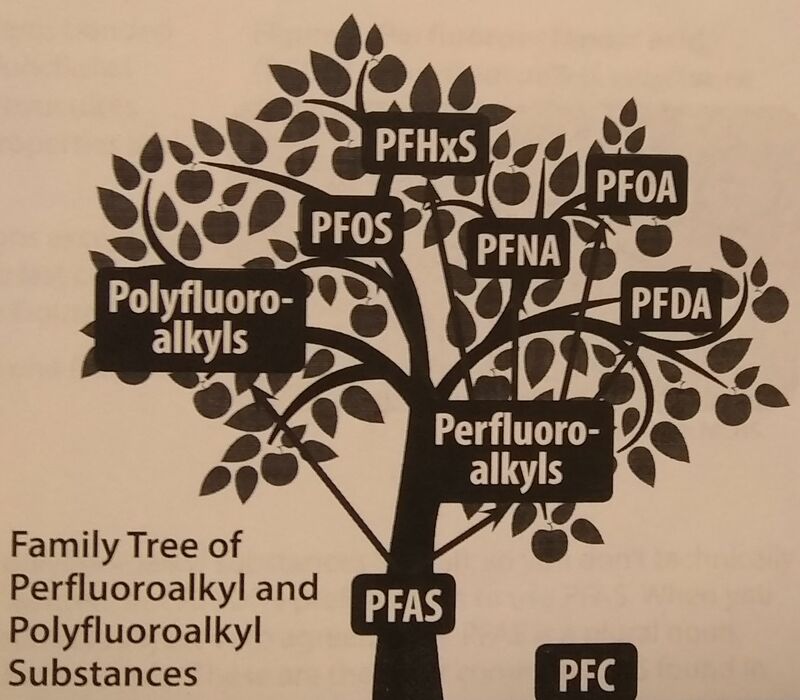 It also drops one confusing acronym, PFC, from the tree, pointing out that PFC stood for perfluorinated chemicals and also for perfluorocarbons. They do not mention that it also stands for Private First Class, which probably confused lots of people. PFC shows on the picture above as a fallen apple. 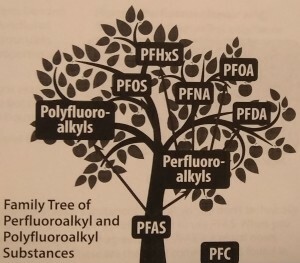 The Family Tree of PFAS. See also, Pure Water Annie’s Glossary of Common Water Treatment Abbreviations Pure Water Annie always crosses the t’s and dots the i’s and never puts s’s on plurals. Does Hard Water Make Your Skin Squeaky Clean? A common complaint about soft water, either naturally soft or water softened by water treatment, is that soft water leaves the body with a slick, slimy feel, that soap won’t wash off of the skin, and that one never gets the “squeaky clean” feel that indicates that you’re really clean. Water softener vendors are quick to point out that both the squeaky and the slimy are illusions. 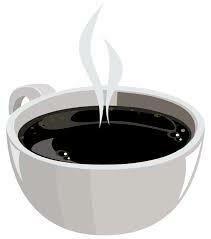 Here I’m going to borrow from an article written to sell softeners. Keep in mind that the source is not a peer-reviewed study from M.I.T., but a blog posting from a company that sells water softeners. I’m excerpting. Have you ever toweled off after a shower, ran [sic] your fingers across your forearm or leg and felt a bit of squeaky friction? The concept of “squeaky clean” may have caused you to assume this meant all the greasy grime that was on your body had been washed away, and now your skin is sparkling. Unfortunately, nothing could be further from the truth. But, perhaps it’s not your soap’s fault. Have you ever considered your water quality? The short explanation is this … the squeaky clean feeling on your skin after a shower actually comes from soap that hard water was unable to wash away. Most bathing products don’t lather or clean well in hard water so soap residue gets left behind on your skin. Imagine the soap scum you notice building up in your tub or that film that shows up on glass shower doors in need of a good cleaning. That’s what’s stuck to your body. Squeaky clean skin is a straight-up lie. In fact, it means the exact opposite of what you’ve been led to believe. Your skin isn’t squeaky … it’s sticky. You’re not getting clean because the soap isn’t washing away, just like the soap scum on your tub. And, because it’s still on your body, you may get dry, itchy, flaky skin. You see, the minerals calcium and magnesium are what make water hard. These hard minerals combine with soap to form what’s often called “curd,” which is just as gross as it sounds. The soap curd sticks to your skin and can clog up your pores and cause irritation. That sticky curd can also lead to brittle, unhealthy hair. Soft Water: Slimy, Slick, or Silky Skin? People who’ve recently installed a water softener in their home may notice their skin feels different after showering. Some describe it as a slippery feeling while others say their skin feels silky smooth after bathing in softened water. Sometimes people complain about this sensation because they assume what they’re feeling is bath products that are left behind. Once again … this is the opposite of the truth. As we’ve already explained, soap scum makes your skin sticky and dry. What you’re actually feeling after washing off with soft water is your body’s natural oils, which it uses to protect and moisturize your skin. 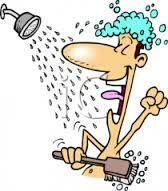 People who are unaccustomed to soft water say that they rinse and rinse, but the slick feeling won’t go away! That’s because it’s not soap product. It’s the way your skin is supposed to feel. Pure Water Gazette’s Conclusion: There are lots of ways to look at things. Since the main purpose of bathing in softened water seems to be to get soap off of the body, a logic conclusion might be to stop using soap. Reference: Squeaky Clean and Hard Water. Also of interest: How does TAC treatment affect soap?